The 2014 Festival season has just kicked off and once again there are some great events with amazing line ups all over the UK. The Isle of Wight festival takes place in just a few weeks time from 12th until 15th June and has one of my favourite line ups of the year. Headliners at this years event are Calvin Harris, Kings of Lean, Red Hot Chili Pepper and Biffy Clyro but I have to admit I'm more interested in the BT ‘Big Top’ where The Horrors and Peace will be taking to the stage. The Horrors have just released their fourth LP Luminous and hearing them play Still Life at Bestival a few years ago was the highlight of my summer so they are definitely ones to watch. 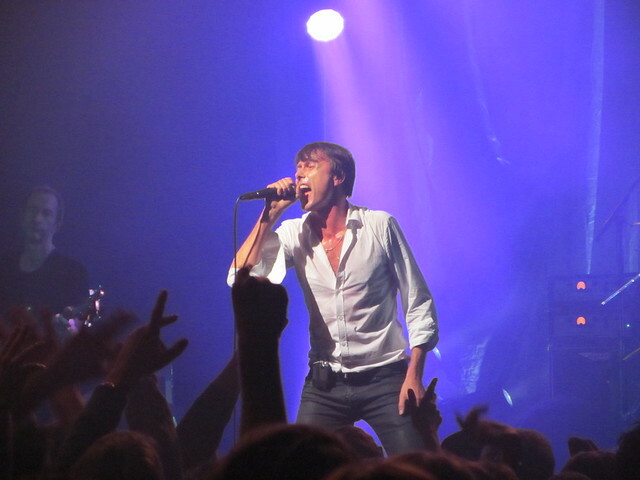 Suede are also playing and I'm considering making my way down for the weekend mainly to see them, they were amazing when I saw them in Birmingham a few months ago. BT Sport are going to make sure that football fans don't miss any of the World Cup action for the duration of the festival by showing 11 games on a massive 7mx5m screen in their entirety. You can watch the hosts Brazil take on Croatia and England's first match of the competition. You can catch all the football in the “Field of Dreams” and alongside all that action will be coverage of the MotoGP as well as films and live music. To celebrate their sponsorship of the Big Top BT Sport are giving away a pair of tickets to the festival away every day until May 30th. Each day will have a new question with a new chance to win – users being able to enter once every day. If that sounds like your kind of thing then you should head over to BT.com for your chance to win today’s pair of tickets. All you have to do is answer the easy question to enter the draw. Best of luck!